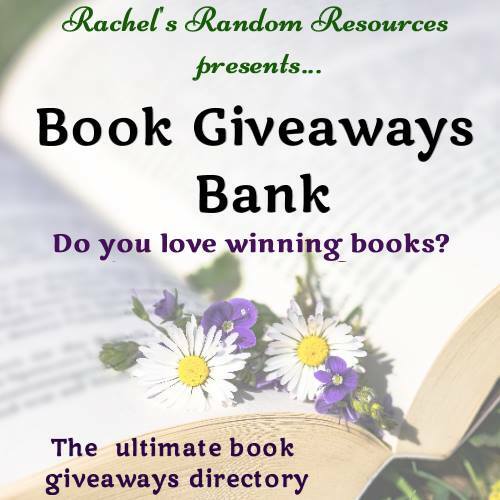 I recently received a copy of The Golden Thread by Monica Carly for review from Newbooks Magazine. The Golden Thread will be published on 28 January 2012 by Troubador Publishing Limited. This novel really is a joy to read. It is the story of two women; Claudia and Maria, sisters who grew up happily together. The sisters loved and respected each other, but have now reached old-age having not seen or spoken to each other for forty years. The reader is introduced to Claudia on the day of her retirement as a Headteacher. Claudia is a lonely lady, full of bitterness and regret and with nothing to look forward to in life except the company of her cat and her memories. As Claudia reflects on her life, the cause of her sadness is revealed to the reader, and this really is a sad sad story. Interwoven into Claudia's story is that of her sister Maria and also Fran, a younger woman who pulls the whole plot together. 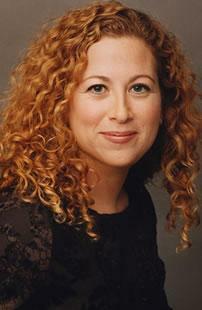 The Golden Thread is an expertly written story of love, relationships, regret and loss. Each of the characters have their own story and these are very cleverly woven together to make a seamless story. 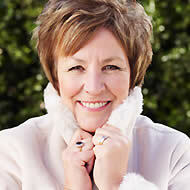 This is Monica Carly's second novel, her first novel; Fraser's Line was published in 2009. 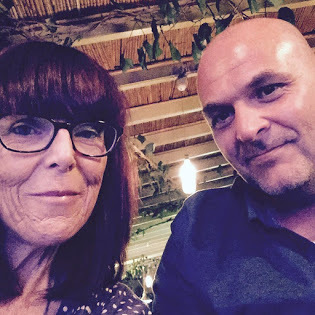 Carly's own story is a fascinating one, she has self-published both of these novels herself and started writing at the age of 73 when her husband was diagnosed with Parkinson's Disease. I hope everyone has had a wonderful Christmas so far, and that you are all happily stuffed with fine food and have received some lovely gifts. This year Christmas has been a little poignant for us, it was our final Christmas Day in our childhood home. Mum and Dad are moving out to a small bungalow early next year. They lived in the house for 42 years and I have so many happy memories of my childhood spent there, but it's time for them to downsize now. They are not going far away, but even so, it's going to be quite sad when we lock the door for the final time. I was very spoilt this year, receiving some beautiful gifts from family and friends. Lots of scented candles, and of course, some new books to delve into. Whilst Martin was engrossed in the Doctor Who Christmas Special yesterday, I had my nose firmly in Jodi Picoult's lastest book; Lone Wolf which will be published in the UK by Hodder and Stoughton on 28 February 2012. 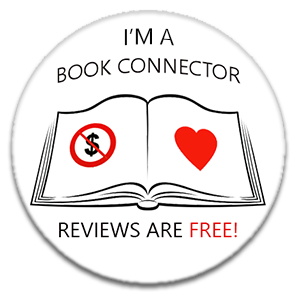 I had read mixed reviews of Lone Wolf before I started reading it, with some readers really not enjoying it and others who rate it her best yet. 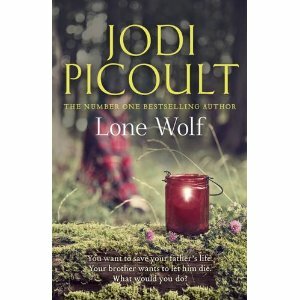 I heard Jodi talk briefly about Lone Wolf when I saw her on tour earlier this year. I am firmly in the 'loved it' camp, and I'm so relieved about that - I've been a fan for years and hate the thought that I'm not going to enjoy a new novel by a favourite author. Lone Wolf is a story with many themes, expertly woven together to produce a thought-provoking novel with some surprises along the way. The story centres around Luke Baxter, a wolf specialist who has been involved in a serious road traffic accident - he is now lying in a coma in a hospital bed. His prognosis is not good, it is likely that if kept alive mechanically, he will remain in a vegetative state for the rest of his life. His two children; Edward and Cara know what they want to do. Cara is convinced that Luke can survive and is determined to do all that she can to ensure that he has a chance. Edward is sure the Luke would want to die, that he lived to the full and would never want to remain in a coma for years and years. The story is narrated by each character in alternate chapters, not just Cara and Edward's voices - but the voice of their Mother and other associated characters. The voice of Luke himself is heard too. I particularly enjoy this style of narration as it allows the reader to learn more about each character and what makes them tick. Luke Baxter was not the greatest of fathers. In the past he had left his family for years at a time - to go and live with a pack of wolves in the wild. Ultimately, this had wrecked his family. Edward has lived abroad for six years with no family contact at all. Cara went to live with Luke when her Mother re-married and had more children. The familiar Picoult themes of family dilemma, family relationships and legal battles are all here in Lone Wolf - all very well done, and a compelling and exciting read. What stands out for me in this story is the amount of research that has been done into the world of the wolf. Luke's chapters are full of details about how a wolf pack operates, the pecking order, the relationships, the way of life and how he, a mere human infiltrated this pack of wild animals and became accepted. This is fascinating and at times really thrilling stuff which opened up a whole new world for me. I've discovered many new authors and new genres, I'll admit that I've abandoned old favourites along the way as my tastes have grown and changed, but the thought of a new Lesley Pearse novel never fails to thrill me. Thanks to the wonderful new world of social media, and especially Twitter, I now feel as though I actually 'know' Lesley just a little bit and have been delighted to exchange Tweets with her on a regular basis. It's also through our Twitter friendship that I've been lucky enough to get hold of a pre-publication copy of Lesley's latest novel The Promise (published January 19 2012 by Michael Joseph Ltd). I've spent the last few days with my nose buried deep and have just come up for air - very satisfied, but a little lost, as now I'll have to wait for her next story. The Promise is Lesley Pearse's twentieth novel and continues the story of Belle Reilly who readers were first introduced to in Lesley's novel entitled Belle, published earlier this year by Michael Joseph Limited. The year is 1914, the eve of World War 1 and at last Belle is happy, married to Jimmy and running her own hat shop. Belle has had a colourful life, although only still in her early twenties, she has seen and done things that many women of her era will never dream of. Life has not been easy, she has suffered abuse and hardship, been rejected by her own Mother and although she has travelled across the world, her journey was not a happy one. When Jimmy decides to enlist and go off to France to fight for his country, Belle is left lonely and restless. Never the type to sit back and wait for her man, and after a dreadful and shocking experience at the hands of a stranger, she too sets off for the battlefields, as a volunteer ambulance driver. In France, Belle not only risks her life, but her happiness after a chance encounter with an old friend Etienne. The Promise is a terrific read. Belle is a wonderfully created character, she has her flaws and is obstinate and headstrong, but also independent, loyal and passionate. Lesley Pearse has recreated the battlefields of France so well; the mud, the terror, the rain, the injuries, the smells, the sounds, the sights. The bravery of the young soldiers, the determination of the volunteer medics - the doctors, the nurses and the drivers. The pure horror of conditions in the trenches are brought home to the reader in full force. There is also the dark humour, the loyalty, the friendship that is shared by the characters. Once again, Lesley Pearse has produced a powerful story that drags the reader in from page one and doesn't let up the pace right up until the end. A huge thanks to Lesley (follow her on twitter here) and to her PR Emma for sending me a pre-publication copy for review. As December arrives and the festive season approaches, I like to read books with a Christmas or wintry theme. Over the past couple of years for some reason, most of my seasonal reads have been by American authors and to be truthful I've found the majority of them are just too sweet and overly sentimental for my tastes. Yes, Christmas time should be a time of peace and goodwill and families and happiness, but let's face it, we all know that very often it doesn't quite work out like that. 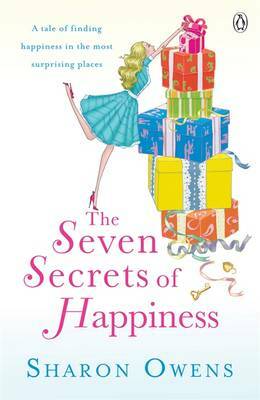 Although Sharon Owens' The Seven Secrets of Happiness (published by Penguin in 2010) does have a message, and makes the reader take a look at what really does make us happy and what really does matter in life, it's done in a way that is not patronising, or twee or down-right tooth achingly sweet. So, to the story. It's Christmas Eve and Ruby O'Neill is waiting at home for her husband Jonathan. She wants to decorate the tree, settle down with a drink and look forward to a few days together without the pressures of work for a change. Ruby and Jonathan are happily married, they are attractive, succesful, reasonably wealthy, have a beautiful home and are madly in love. Tom Lavery is a widower, his beloved wife Kate died some years ago, he misses her dreadfully and wonders how much longer he can carry on without her. Tom is delivering the last of the Christmas trees from the Camberwell estate where he is the head gardener and Ruby is the last customer on his list. Just a few hours later Ruby's life is shattered. Her dreams in pieces, her hopes for the future destroyed and the Christmas tree standing in the corner. Over the next months and years Ruby gradually starts to learn to live again, but swears that she will never love again. Helped by her dearest friend Jasmine, she starts to build herself a new future and every now and again Tom shows his face in her life. Ruby discovers that there are seven secrets to happiness and if she considers these and remembers them, then life could be good again. Sharon Owens has that Irish women authors gift - the gift of making her characters seem real, making them recognisable, making them flawed yet likeable, and making the reader interested in what will happen on the next page, and the next, and the next. I liked the character of Ruby, but I loved Tom and I loved Jasmine, for me they were the two that stood out. Ruby's discovery of the seven secrets of happiness could have been twee and over the top but Owens links the discovery of each secret to seven velvet handbags that Ruby has made - each recipient of a bag has a story to tell about what can make them happy, and it's not in the least bit sweet and sentimental, it's very cleverly done. Despite the title, don't expect happiness straight away, I had a lump in my throat by page 25 but there are plenty of smiles along the way. A great seasonal read. The Legacy of Hartlepool Hall is the latest offering from Paul Torday and due to be published by Weidenfeld & Nicolson in January 2012. I've read a couple of Torday's novels in the past and surprised myself by how much I enjoyed them as his books are not my usual sort of read. The Legacy of Hartlepool Hall introduces us to a eclectic bunch of characters, headed up by Ed Hartlepool and ably assisted by Annabel Gazebee and Lady Alice Birtley. Ed has just returned to his ancestral home after a five year spell of living in exile in France. 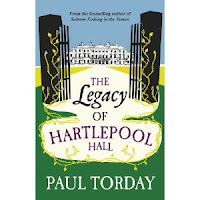 During those five years Ed has left his correspondence unread and ignored telephone calls so returning to find that the Hartlepool Hall estate is £7 million in the red comes as something as a shock to him. Another shock is Lady Alice, recently taken up residence at Hartlepool Hall, but something of a mysterious character. Annabel is one of the country 'set', an old friend who would like to be more than friends with him, who lives with her elderly, miserly father in the same village. Paul Torday's writing and style is unique to him, he creates unusual characters and entertaining if sometimes almost farcical plots, but does it with great ease and the readability factor in his novel is very high. At first the characters appear one-dimensional; poor little rich kids who've never worked and led a life of shooting, fishing, servants and gentry, and can appear foolish and mildly irritating. As the story progresses and Ed realises that he is about to lose the Hall, and his lifestyle and Annabel's life gets darker and darker, the more serious subject of mental illness is touched upon. The story becomes tragic and darker and poignant towards the end. Beautifully written, this story and the characters will remain with me for some time.